The best online introductory statistics and probability courses for people looking to learn data science are the University of Texas at Austin’s “Foundations of Data Analysis” two-part series (“Statistics Using R” and “Inferential Statistics”). The series includes two of the top reviewed courses available with a weighted average rating of 4.48 out of 5 stars over 20 reviews. It is one of the few courses/series in the upper echelon of ratings that teach statistics with a focus on coding up examples. Update (December 5, 2016): Our original second recommendation, UC Berkeley’s “Stat2x: Introduction to Statistics” series, closed their enrollment a few weeks after the release of this article. We promoted our top recommendation in “The Competition” section accordingly. Based on a course that had a 4.82-star weighted average rating over 55 reviews, Duke University’s Statistics with R Specialization is another great option. The five-course specialization, which is relatively new, has a comprehensive syllabus with full sections dedicated to probability. There are only five reviews for the new individual courses, so their 3.6-star weighted average rating should be taken with a grain of salt. If you want to dive deeper into probability, opt for MIT’s “6.041x: Introduction to Probability – The Science of Uncertainty” instead of UC Berkeley’s probability offering above. 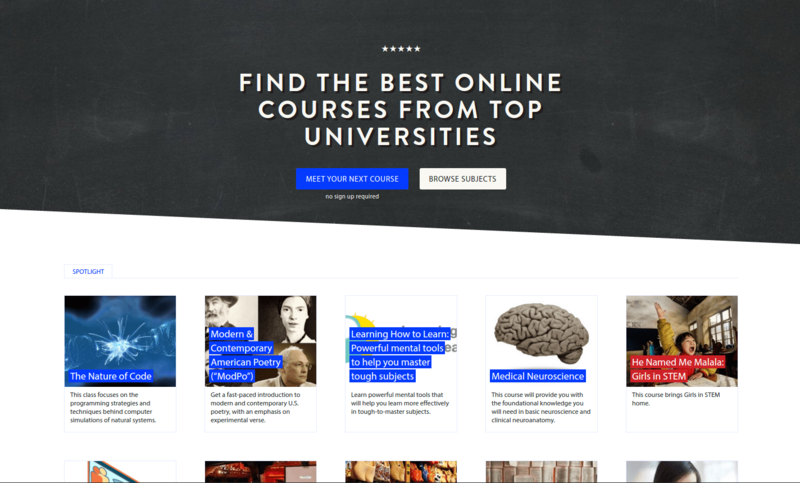 MIT’s offering has by far the highest weighted average rating (4.91 out of 5 stars over 34 reviews) of any course/series considered in this guide. 6.041x is almost identical to MIT’s on-campus version. 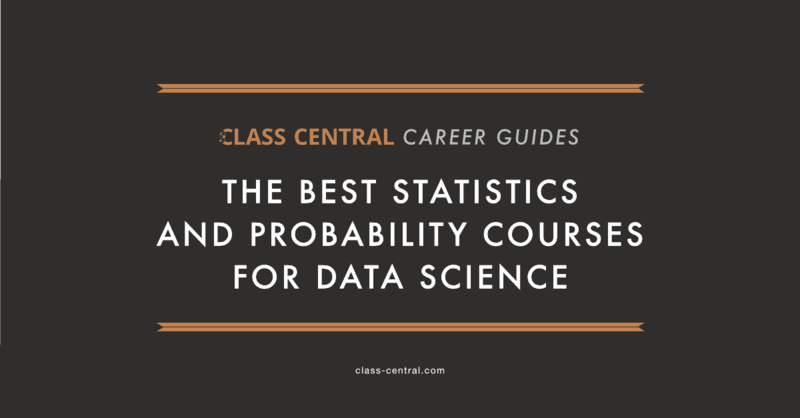 It covers more probability than a standard introduction to probability and statistics, plus it is longer (15 weeks) and more challenging than most MOOCs. I started creating my own data science master’s degree using online courses almost a year ago. I scoured the statistics landscape and have taken a few courses, and audited portions of many. I know the options and what content is needed for those targeting a data analyst or data scientist role. For this guide, I spent 15+ hours trying to identify every single online introduction to statistics course offered as of November 2016, extracting key bits of information from their syllabi and reviews, and compiling their ratings. For this task, I turned to none other than the open source Class Central community and its database of thousands of course ratings and reviews. Statistics is generally regarded as one of the pillars of data science. Probability, though it generates less attention, is also an important part of a data science curriculum. Joe Blitzstein, a Professor in the Harvard Statistics Department, stated in this popular Quora answer that aspiring data scientists should have a good foundation in probability theory as well. Justin Rising, a data scientist with a Ph.D. in statistics from Wharton, clarified that this “good foundation” means being comfortable with undergraduate level probability. 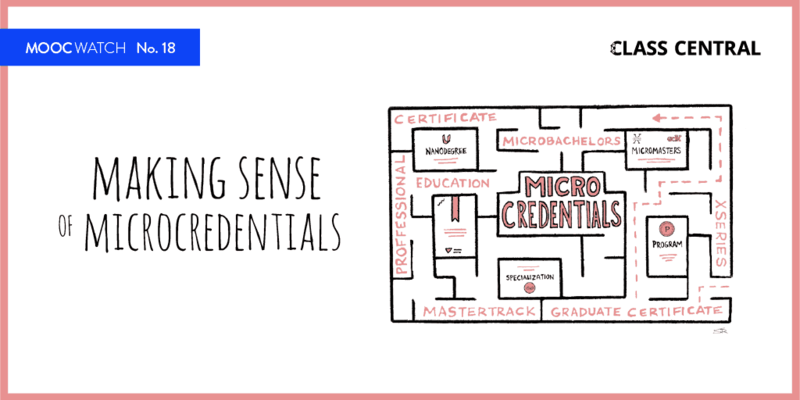 We believe we covered every notable course that fits the above criteria. Since there are seemingly hundreds of courses on Udemy, we chose to consider the most reviewed and highest rated ones only. There is a chance we missed something, however. Please let us know if you think that is the case. We compiled average rating and number of reviews from Class Central and other review sites to calculate a weighted average rating for each course. If a series had multiple courses (like the University of Texas at Austin’s two-part “Foundations of Data Analysis” series) the weighted average rating across all courses was calculated. We read text reviews and used this feedback to supplement the numerical ratings. 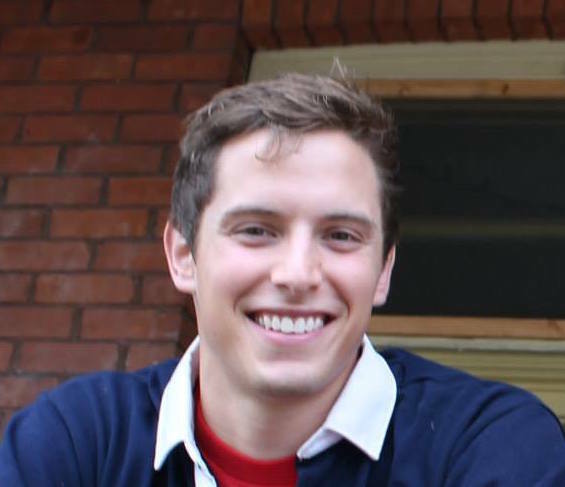 Teaches statistics with a focus on coding up examples, preferably in R or Python. Since a lot of a data scientist’s statistical work is carried out programmatically, getting familiar with the most popular tools is beneficial. “Foundations of Data Analysis” includes two of the top reviewed statistics courses available with a weighted average rating of 4.48 out of 5 stars over 20 reviews. Among courses/series in the upper echelon of ratings, it is one of the few that teaches statistics with a focus on coding up examples. Though not mentioned in either course titles, the syllabi contain sufficient probability content to satisfy our testing criteria. These courses together have a great mix of fundamentals coverage and scope for the beginner data scientist. Estimated timeline: 6 weeks at 3-6 hours per week. The total estimated timeline is 18-36 hours, which could feasibly be completed in two weeks if you prefer to binge-study your MOOCs. In this first part of a two-part course, we’ll walk through the basics of statistical thinking – starting with an interesting question. Then, we’ll learn the correct statistical tool to help answer our question of interest – using R and hands-on Labs. Finally, we’ll learn how to interpret our findings and develop a meaningful conclusion. “The best introductory course for statistical use of R!!! The videos are very didactic and it teaches step by step each lesson, as well as the R language. The way the exercises and tests are proposed is very stimulating. I’m waiting for the next course!! !” Link to reviews. “One of the best online classes I have ever taken, out of about 20. Excellent material, clearly presented and good level of challenge for a novice data analyst. I strongly recommend [Dr. Mahometa] and this class!” Link to reviews. “I am working as a Biochemist in a large R&D structure. I registered to learn how to use R and to refresh/learn basic statistics or at the least when and why use which approach. So far this course has fully met my expectations, it is very well done, very interesting and tutorials are terrific. The reading part is also well done and contains numerous examples to train oneself. The Pre-Lab, Lab and Problem Sets are also really good into evaluating how we perform. It’s also possible to go a bit more into depth using optional readings. I’m glad I registered for the second course.” Link to reviews. In the second part of a two-part statistics course, we’ll learn how to take data and use it to make reasonable and useful conclusions. You’ll learn the basics of statistical thinking – starting with an interesting question and some data. Then, we’ll apply the correct statistical tool to help answer our question of interest – using R and hands-on Labs. Finally, we’ll learn how to interpret our findings and develop a meaningful conclusion. What makes a hypothesis test? “Excellent course! I took Prof. Mahometa’s part 1 of the course and fell in love with R (with no prior knowledge). This I think can be taken individually but might have a steeper learning curve. The course is designed beautifully with pre-labs, labs and assignments that cement the concepts learned through text and videos. I have been around on edX since it started and I must say it is hard to find such well-designed course and that too [are offered] for free. I hope Prof. Mahometa design more courses on advanced topics. It will be a treat to learn.” Link to reviews. “Excellent course! I took part 1 and enjoyed it a lot, so it was very easy to decide to go on with part 2. Dr. Mahometa and team are very good teachers and their material is of a very high quality. The exercises are interesting and the materials (videos, labs and problems) are appropriate and well chosen. I recommend this course to anyone interested in statistical analysis (as an introduction to machine learning, big data, data science, etc.). On a scale from 1 to 10, I give 50!” Link to reviews. This five-course specialization is based on Duke’s excellent Data Analysis and Statistical Inference course, which had a 4.82-star weighted average rating over 55 reviews. The specialization is taught by the same professor, plus a few additional faculty members. The early reviews on the new individual courses, which have a 3.6-star weighted average rating over 5 reviews, should be taken with a grain of salt due to the small sample size. The syllabi are comprehensive and have full sections dedicated to probability. Listed below are the details for the specialization, including each course’s description and syllabus. Prominent reviews follow. In this Specialization, you will learn to analyze and visualize data in R and created reproducible data analysis reports, demonstrate a conceptual understanding of the unified nature of statistical inference, perform frequentist and Bayesian statistical inference and modeling to understand natural phenomena and make data-based decisions, communicate statistical results correctly, effectively, and in context without relying on statistical jargon, critique data-based claims and evaluated data-based decisions, and wrangle and visualize data with R packages for data analysis. This course covers commonly used statistical inference methods for numerical and categorical data. You will learn how to set up and perform hypothesis tests, interpret p-values, and report the results of your analysis in a way that is interpretable for clients or the public. Using numerous data examples, you will learn to report estimates of quantities in a way that expresses the uncertainty of the quantity of interest. You will be guided through installing and using R and RStudio (free statistical software), and will use this software for lab exercises and a final project. The course introduces practical tools for performing data analysis and explores the fundamental concepts necessary to interpret and report results for both categorical and numerical data. This course describes Bayesian statistics, in which one’s inferences about parameters or hypotheses are updated as evidence accumulates. You will learn to use Bayes’ rule to transform prior probabilities into posterior probabilities, and be introduced to the underlying theory and perspective of the Bayesian paradigm. The course will apply Bayesian methods to several practical problems, to show end-to-end Bayesian analyses that move from framing the question to building models to eliciting prior probabilities to implementing in R (free statistical software) the final posterior distribution. Additionally, the course will introduce credible regions, Bayesian comparisons of means and proportions, Bayesian regression and inference using multiple models, and discussion of Bayesian prediction. The capstone project will be an analysis using R that answers a specific scientific/business question provided by the course team. A large and complex dataset will be provided to learners and the analysis will require the application of a variety of methods and techniques introduced in the previous courses, including exploratory data analysis through data visualization and numerical summaries, statistical inference, and modeling as well as interpretations of these results in the context of the data and the research question. The analysis will implement both frequentist and Bayesian techniques and discuss in context of the data how these two approaches are similar and different, and what these differences mean for conclusions that can be drawn from the data. A sampling of the best final projects will be featured on the Duke Statistical Science department website. Note: Only learners who have passed the four previous courses in the specialization are eligible to take the Capstone. On the Inferential Statistics course: “This course is awesome on so many levels. This is the best inferential statistics course I’ve come across. Here’s why. The slides are beautiful and visually appealing, making following the rigorous content easier to digest. Instructors are captivating and articulate, the explanations are clear and concise. The assignments are very very tough, making the course incredibly challenging, but worth it. This is a huge plus. Without challenge, good statistics understanding won’t come…Again, this is an amazing course! This is rare stuff! It is without a doubt, a lot of passion and effort has been put into this course and this series.” Link to review. “One of the greatest courses I’ve taken so far. [Dr. Mine Çetinkaya-Rundel is] a great teacher, very much involved in exchanges with her students. A large variety of teaching approaches and tools. Lots of practice through short tests, R-programming labs, and an in-depth project. A very lively forum with lots of help to cope with difficulties. The course is not too difficult, but the variety of the proposed material requires that students get involved quite substantially. A very nice book available for free with plenty of practice exercises.” Link to review. Consider the above MIT course if you want a deeper dive into the world of probability. It is a masterpiece with a weighted average rating of 4.91 out of 5 stars over 34 reviews. Be warned: it is a challenge and much longer (16 weeks total at 12 hours per week) than most MOOCs. The level at which the course covers probability is also not necessary for the data science beginner. Estimated timeline: 16 weeks at 12 hours per week. 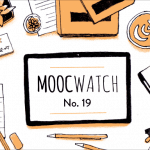 The total estimated timeline is 192 hours, which could feasibly be completed in less than two months if you prefer to binge-study your MOOCs. “Many online courses are watered down in some way, but this one feels like a proper rigorous exercise-driven course similar to what you’d get in-person at a top school like MIT. The professors present concepts in lectures that have obviously been honed to a laser focus through years of pedagogical experience – there is not a single wasted second in the presentations and they go exactly at the right pace and detail for you to understand the concepts. The exercises will make you work for your knowledge and are critical for really internalizing the concepts. This is the best online course I have taken in any subject.” Link to review. Please visit the Class Central’s page for this course to read the rest of the reviews. Our #1 pick had a weighted average rating of 4.48 out of 5 stars over 20 reviews. Let’s look at the other alternatives. MedStats: Statistics in Medicine (Stanford University/Stanford OpenEdx): Great syllabus where the examples have medical a focus. Covers a bit of R programming at the end, though not as much as UT Austin’s series. A worthy option for anyone, even those not targeting medicine. It has a 4.58-star weighted average rating over 32 reviews. SOC120x: I “Heart” Stats: Learning to Love Statistics (University of Notre Dame/edX): Targets a non-technical audience, though likely would be good for anyone. No coding. Good production value. Course and instructors look really fun. It has a 4.54-star weighted average rating over 12 reviews. QM101x: Statistics for Business (Indian Institute of Management Bangalore/edX): Part of a 4-course series. Business focus. Good syllabus that uses coding. The last two courses in the series are unreleased as of November 2016 so can’t make a judgment yet. It has a 4.43-star weighted average rating over 27 reviews. 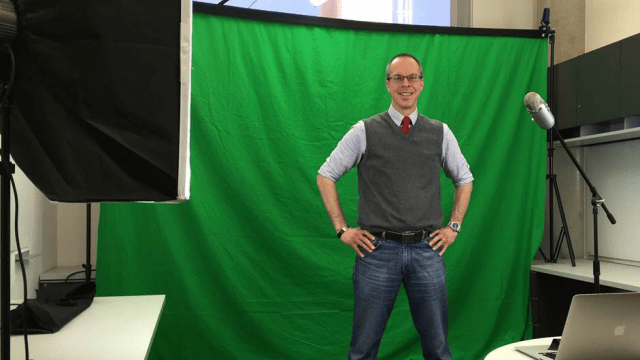 Intro to Inferential Statistics (San Jose State University/Udacity): Part of a 2-course series. Bite-sized videos. No coding. It has a 4.4-star weighted average rating over 5 reviews. 6.008.1x: Computational Probability and Inference (Massachusetts Institute of Technology/edX):One of two courses/series to teach statistics with a focus of coding up examples in Python. Reviews suggest prior stats experience is needed and that the course is a bit unorganized. It has a 4-star weighted average rating over 12 reviews. Basic Statistics (University of Amsterdam/Coursera): One of two statistics courses in the University of Amsterdam’s Methods and Statistics in Social Sciences Specialization. One exceedingly positive review on the series and its instructors. No coding. It has a 4.06-star weighted average rating over 8 reviews. Inferential Statistics (University of Amsterdam/Coursera): One of two statistics courses in the University of Amsterdam’s Methods and Statistics in Social Sciences Specialization. One exceedingly positive review on the series and its instructors. No coding. It has a 4-star weighted average rating over 3 reviews. PH525.1x: Statistics and R (Harvard University/edX): Part of a 7-course series on edX. Life sciences focus. Uses R programming, but the reviews suggest UT Austin’s series is better. It has a 3.96-star weighted average rating over 26 reviews. PH525.3x: Statistical Inference and Modeling for High-throughput Experiments (Harvard University/edX): Part of a 7-course series on edX. Life sciences focus. Uses R programming, but the reviews suggest UT Austin’s series is better. It has a 4.63-star weighted average rating over 4 reviews. Intro to Statistics (Udacity): This is one of Udacity’s earliest courses and it has its shortcomings, as described in this memorable review by a college educator. No coding. It has a 3.93-star weighted average rating over 41 reviews. Statistical Inference (Johns Hopkins University/Coursera): One of two statistics courses in JHU’s data science specialization. Bad reviews. It has a 2.9-star weighted average rating over 29 reviews. Regression Models (Johns Hopkins University/Coursera): One of two statistics courses in JHU’s data science specialization. Bad reviews. It has a 2.73-star weighted average rating over 30 reviews. 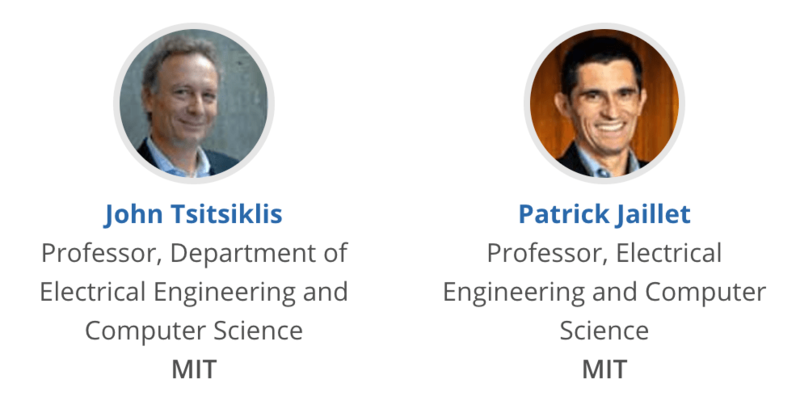 DS101X: Statistical Thinking for Data Science and Analytics (Columbia University/edX): Part of the Microsoft Professional Program Certificate in Data Science. Short syllabus. Bad reviews. It has a 2.77-star weighted average rating over 24 reviews. Understanding Clinical Research: Behind the Statistics (University of Cape Town/Coursera): “This isn’t a comprehensive statistics course, but it offers a practical orientation to the field of medical research and commonly used statistical analysis.” Health care focus. It has a 5-star weighted average rating over 15 reviews. Statistics for Genomic Data Science (Johns Hopkins University/Coursera): Genomic focus. Not a good introductory course: “A fair class for someone with an interest in this field who also happens to have a decent background in R programming.” It has a 2-star weighted average rating over 2 reviews. A Hands-on Introduction to Statistics with R (DataCamp): Uses coding. 26 hours of video content and 45k+ participants. DataCamp is a popular option. Statistical Computing with R – a gentle introduction (University College London/Independent): Uses coding. No review data. Introduction to Probability and Statistics (Massachusetts Institute of Technology/MIT OCW): No review data. Traditional lecture format (video-taped). Fundamentals of Engineering Statistical Analysis (The University of Oklahoma/Janux): No review data. 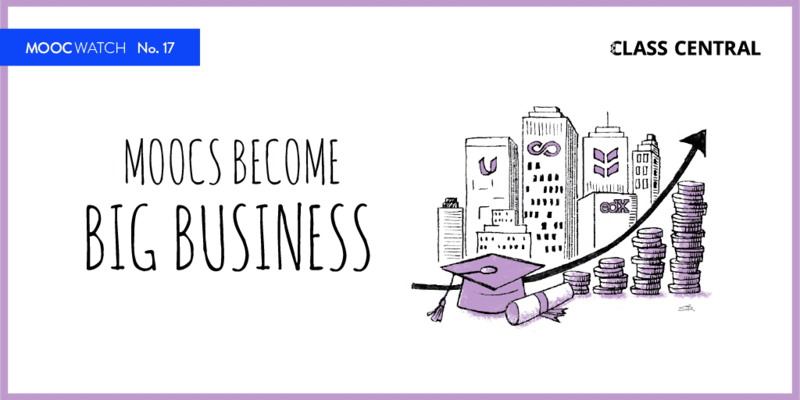 Elementary Business Statistics (The University of Oklahoma/Janux): Business focus. No review data. STAT101x: Biostatistics for Big Data Applications (The University of Texas Medical Branch/edX): Biostatistics focus. No review data. 416.1x: Probability: Basic Concepts & Discrete Random Variables (Purdue University/edX): Part of a 2-course series. No review data. 416.2x: Probability: Distribution Models & Continuous Random Variables (Purdue University/edX): Part of a 2-course series. No review data. Business Statistics and Analysis Specialization (Rice University/Coursera): Uses Excel. No review data. Statistics 110: Probability (Harvard University): No review data. Traditional lecture format (video-taped). Often recommended on Quora. Statistics (Dataquest): A multi-course series with about 12 hours of content. No review data. Subscription required. One of two courses/series to teach statistics with a focus of coding up examples in Python. Thank you so much for this great guide. However the Berkeley Introduction to Probability course is closed for enrollment on Edx, is there any way to access it that you know of? Thanks for pointing this out. I don’t know of any way to access the course while closed. I emailed the professor to see if this is permanent and updated the article noting the situation. This is great. I find myself at a disadvantage however because I mainly work with Python, and I feel that many statistics courses focus more on R (which totally makes sense). I think it’s about time I started learning R too.